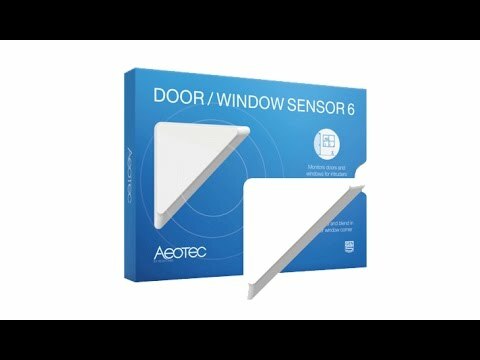 The Aeotec Door/Window Z-Wave Sensor Gen5 is a battery-powered Z-Wave magnetic contact door/window sensor. This Z-Wave sensor will send radio signals up to 5 associated Z-Wave devices within the smart home network when the door or window is opened. The Aeotec D/W smart sensor also has tamper prevention capabilities and low-battery alerts. Simple DIY installation with screws or by double sided tape. Triggers intelligence and security related events. Hidden security tamper detection technology.